TVXQ showed support for their hoobaes in an extra special way. 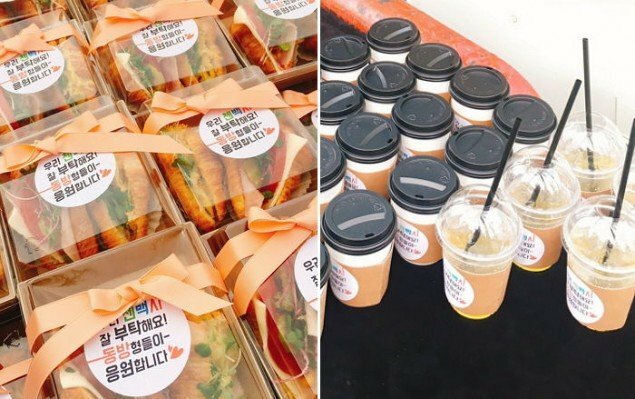 The treats came with the message, "Please take�good care of EXO-CBX! TVXQ hyungs are cheering them on." Chen expressed deep appreciation for the caring treat. Via Instagram, Chen said, "A surprise gift from TVXQ hyungs that I found during today's 'Inkigayo'...! 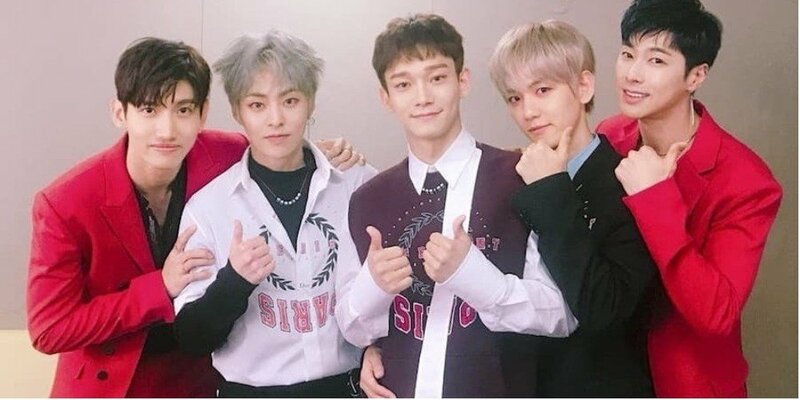 We lost the bowling match last time so we should've treated them but they sent a snack car to us instead TT They even cared for our EXO-Ls... We always appreciate you hyungs!!!" ?? ?????? ??? ??????? ????......!!! ?? ??? ?????? ?? ??? ???????? ??? ???? ???? ??? ??? ?? ????? ?????... ?? ?? ?????!!!!!!? ??? ???? ??? ??? ?? ??? ??? ???....? ?? ??....? ?....??? ??????....??? ?? ???? ????? ?????? ???? ?? ?? ??? ?? ?? ???? ?? ??? ?~~ ??? ???? ?? ????? ????? ??????~! ????? ??~! ???? ?? ?? ? ? ??? ? ?????!! ?????? ???? ???!! ????? ???!! ??? ??? ?????!!! !